McCafferty has penned another great mystery. 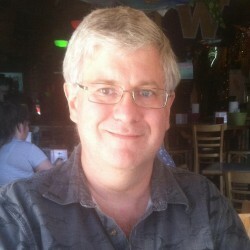 The series follows the adventures of Sean Stranahan, an artist/fly fisherman/private detective. This time, the story incorporates Ernest Hemingway into the fold. The author is a wonderful writer, his descriptions (especially of the rivers Stranahan is fishing) make you feel like you are there. The character development, even of the minor ones, is thorough, you are made to feel like you actually know the people. The stories flow very well, and I especially appreciate that McCafferty manages to wrap up all the loose ends in his books, and doesn't leave you hanging at the end. The only complaint I can make about this book is that the main character, after several books, is getting a bit stale. The eventual seduction of every interesting woman he meets is cliche, almost like the author wants him to be James Bond. Other than that observation, the book is very good. 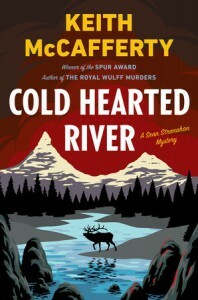 Cold Hearted River is the latest in the series, but it could be read as a stand-alone book. I received an advance copy of this book from "First To Read" in exchange for a fair review.